The offie bagged 4 wickets in 6 balls on Day 1 of the second Test. 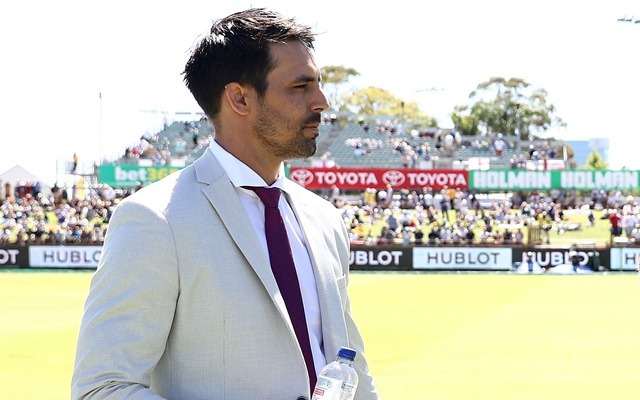 Former Australia fast bowler Mitchell Johnson congratulated veteran off-spinner Nathan Lyon for going past his tally of Test wickets. Lyon, currently representing Australia in the Test series against Pakistan, overtook Johnson’s total of 313 Test wickets while playing at the Sheikh Zayed Stadium in Abu Dhabi. Australia are taking on Pakistan in the second and final Test of the two-Test series, after having somehow enforced a draw in the first Test in Dubai. Playing with a rather inexperienced side, the Australians have been tested in warm and sultry conditions in the UAE. Usman Khawaja bailed them out with a gritty century in the second innings. But Tim Paine was however dissatisfied with a draw and is gunning for a series victory in Abu Dhabi. The visitors seized the first session of the Abu Dhabi Test by a country mile, with Lyon doing all the damage with his flighted deliveries. Pakistan were going steady at 53 for 1, but as Lyon jogged in to bowl the 20th, he changed the complexion of the game completely. Off the final two deliveries of the over, he got rid of both Azhar Ali and Haris Sohail, the latter for a golden duck. Sohail had scored a century in the previous Test, but on this occasion,So he was removed by a sensational catch at silly point. Although Lyon wasn’t able to complete his hat-trick, he snaffled two more important wickets in his following over. The 21st over was a double-wicket maiden – the off-spinner dismissed of Asad Shafiq as well as Babar Azam for ducks. In the span of 6 deliveries, Pakistan had lost 4 wickets without having scored a single run. With that Nathan Lyon leapfrogged his ex-teammates Brett Lee and Mitchell Johnson in the tally of highest wicket-takers in Tests for Australia. With 314 Test wickets as the Test goes on, Nathan Lyon remains behind 3 Australian greats Dennis Lillee, Glenn McGrath and of course Shane Warne. Lyon is another 40 wickets away from going past Lillee. Meanwhile, in Abu Dhabi, Sarfraz Ahmed and debutant Fakhar Zaman have begun a rescue effort for Pakistan after Nathan Lyon’s magic.